Utilizing our design skill, Adobe Illustrator and Photoshop, we are able to create realistic 3-dimensional sign effects, that can be printed in beautiful, high resolution—giving the appearance, quality and character of a dimensional carved sign, for a fraction of the cost. Here’s a photo of one such sign we recently created for a tile and stone store located on Route 72 in Barnegat. 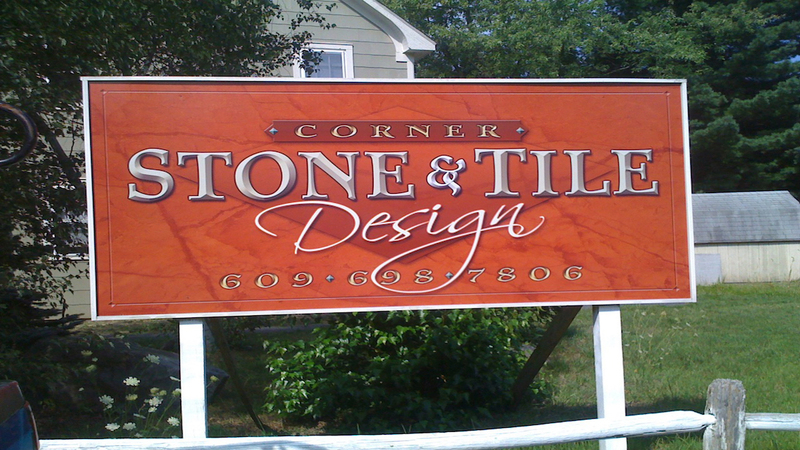 Serving Long Beach Island and all of Ocean County, Corner Stone and Tile needed an upscale small business brand and signs, and Typestries delivered just that.